A wide range of services, a set of flexible solutions and a team of experienced associates are readily available, at any given moment, to assist you in finding the best solution for your products. 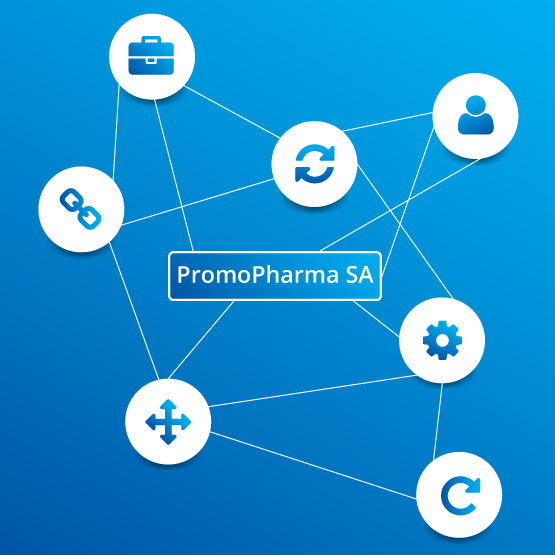 Management of employees through PromoPharma SA. Dedicated sales force. Product(s) of a single client. Products of various clients (up to 3), graduated fee structure. Integration of employees into management structure of client. Distribution of products through a partner company. Fee for service, i.e. fixed rate per working day and employee. Fee per call.